1. DVF GOOGLE GLASS Diane Von Furstenberg is one of the biggest designers on the market today, her deigns are about empowering woman and keeping fashion classy and sophisticated. One of the only labels to sell plus-size clothing, DVF is inspirational to all and is about trying out something new. 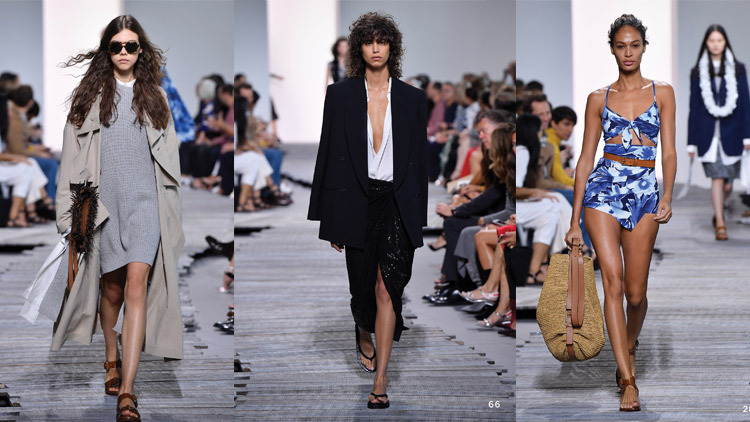 With that and the release of GOOGLE GLASS hitting the market, DVF saw the opportunity to make technology not only just wearable but also fashionable. She collaborated with Google to create life-changing sunglasses! It’s about blending your digital busy lifestyle into a effortless look. 2. 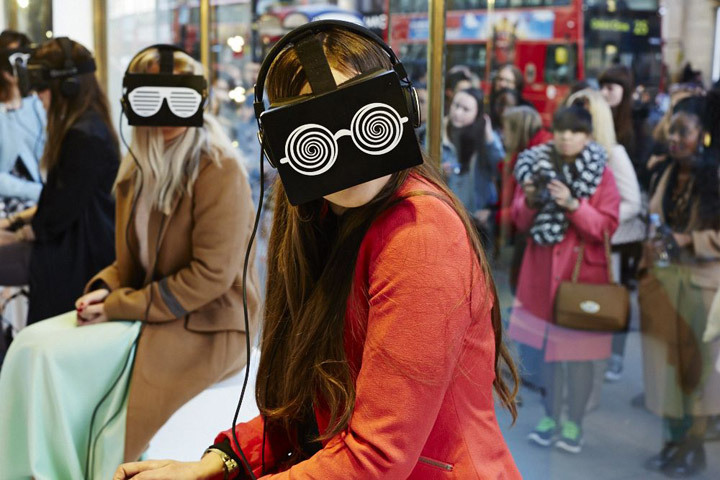 TOPSHOP – THE VIRTUAL CATWALK. Ever wanted to go to a Topshop Unique show at LFW. This year, you could, virtually. Topshop we’re able to let there supporting fanbase experience the show of there dreams, from the very home of the flagship store in Oxford Circus, London. The large ‘jazzy’ goggles, with screens inside and headphones inside allowed the the viewer to experience the show from the front row seat, and not just the live stream of their computer. Connecting the audience to the fashion show, gives them more of a personal connection to the brand, making additionally the TOPSHOP UNIQUE collection a number one browse to have a look at one release. 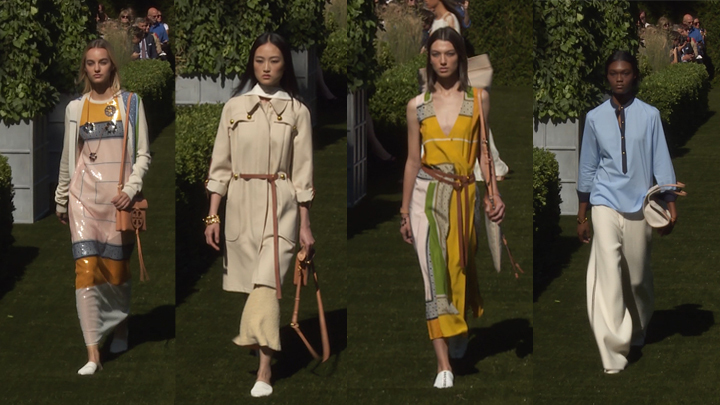 Able to see the garments first, at the actual show influences the consumer, to not only view the show but become part of it later on. 3. 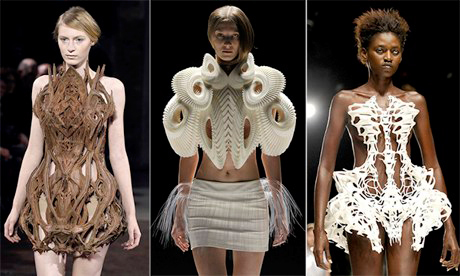 3D PRINTED GARMENTS 3D printing is the biggest development of 2013. With 3D printers now able to buy on the market, making virtually near enough anything, fashion is a area the advanced printer has tapped into you. Leading to ideas of ‘emailing luggage’ and 3D printing your essential clothes, many designers has used this for there catwalk creations. IRIS VAN HERPEN was one of the first of many to use 3D printing to their advantage when creating detailed garments. During the SS12 Haute Couture show in Paris, Herpen showcased a range of garements with in-depth pattern detail creating shape and texture on the models body. Since then, 3D printing has been developed to be used by other designers, and also to create ’3D pens’, which can be used to fix clothing. 4. THE BAGS THAT TALK Yes you read that correctly. It’s the newest addition to the O2 product base. Mobile phone is used by nearly everyone all across the world. With them being developed smaller and smarter, and also into accessories such as watches, they are also being developed to become part of your fashion choices and lifestyle. ‘THE BAG THAT TALK: O2 UPCYCLE’ is a bag created by on of the biggest british phone networks, O2. These bags, created by Sean Miles for his collection, are all created with high-end fashion in mind, and keeping your phone connected at all times easier. The designer bags included are Alexander McQueen, Chloe Vintage Celine, and Mulberry. Not only they are designer, but also recycled making them eco friendly, right down to the phone itself. These designers bags double up as phones, making phone usage in a busy day out alot more efficient. 5. THE BB SUIT Oneises are the big phase for the past two years. Wear them inside in bed, or out on a cold day, near enough everyone in the UK especially jumped on the hype. However, what would you think of a Onesie where you can take your wifi, GPS and music library with you? Well, you can. Let me introduce you to the BB SUIT. 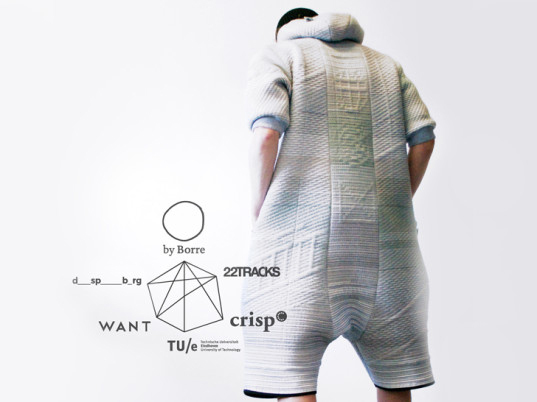 The knitted onesie is able to accompany every ‘smart-phone owner’, ‘gadget lover’s’ needs. Question is, why would you want to wear anything else? Despina Papadopoulos and Studio 5050 created the Day-For-Night Solar Dress, an ultra-mod solar-powered mini that looks a lot like chanteuse Francoise Hardy‘s 1960s. This dress is 100% custom made and it soaks Sun's energy to light up whole night to creat ultimate party dress. Interestingly, dress has over 448 circuit board tiles that can be fitted with solar cells, LEDs, or photocells to charge your phone or any device you want. This dress is definitely reserved for party and phone addicted ladies. So where would this combination of technology and fashion lead to? These days, only the bravest fashionistas could wear these pieces full of technology. In the end, will everything we wear have some kind of technology benefit. Who knows. However with what has been put up on the market so far, it’s exciting to see what’s around the corner.